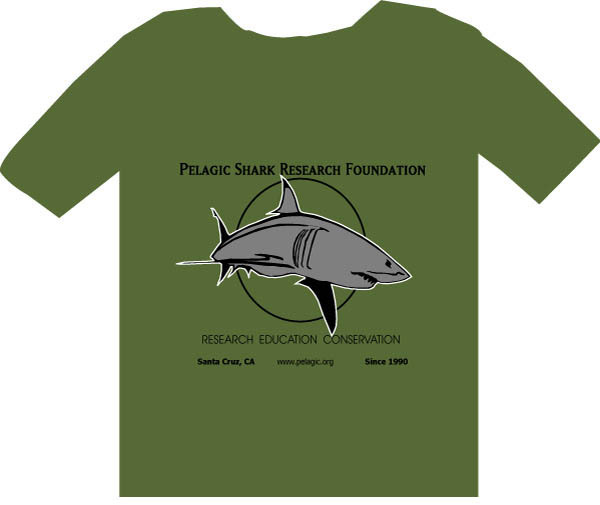 Support the PSRF and let the world know you love sharks. USA Shipping is included. 100% of proceeds benefit the PSRF. 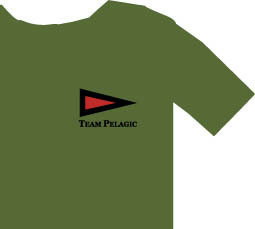 Team Pelagic Pennant logo on front corner. 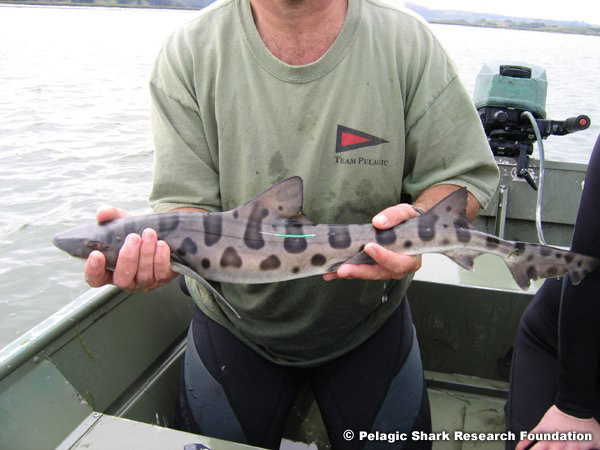 Light Gray Shark with blue outline and white letters on back. The material is a green/gray color, like the mockups to the right. 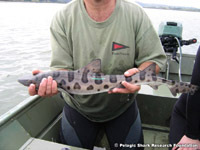 The shirt appears more gray in the photo due to the environmental light. Includes shipping to lower 48 of USA!